Chery Automobile Malaysia has introduced its latest Chery Eastar ST MPV last week, the enhanced model of its Chery Eastar, targeted towards young families. 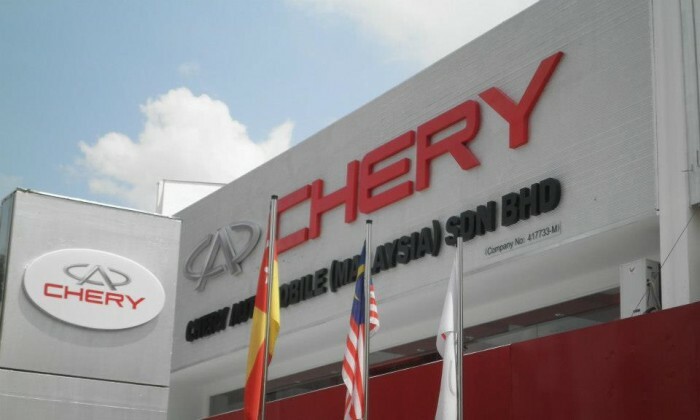 Spending RM5 million a year on marketing, Chery has allocated RM1 million on above- and below-the-line marketing initiatives for the Eastar ST for the rest of the year, focusing on its release in the Central and Northern regions in Peninsular Malaysia. It expects to sell 1,000 to 1,500 units of the Eastar ST this year, with 15% targeted to be exported to Indonesia and Thailand. Last week also marked the opening of Chery’s flagship showroom, making it Chery’s largest 3s showroom in Malaysia, focusing on sales, service and spare parts to re-emphasise its commitment towards the local market. The showroom will offer a wide range of services, from night drop-off service to express servicing lanes that can accommodate up to 70 cars daily. Paul Ng, chief executive officer of Chery Automobile Malaysia said its “current customers are our best ambassadors, thus the investment into providing a wider range of services to them. It spent RM300,000 on renovation while investing RM5 million worth of spare parts in its 110,000 square feet showroom. “With ‘Here to Stay’ being our brand promise to our customers, the opening of this showroom is dedicated in providing our customers a good experience that will stay in their hearts for life. We are here to develop a lifelong relationship with them,” said Ng. Ng adds that Malaysia is also currently the export hub for Chery right-hand drive cars to Thailand, Indonesia, India and Sri Lanka, and hopes to increase the number of export units to these countries and Pakistan with the completion of a new plant set to be ready by 2015. Chery is spending RM250 million on the plant’s development over the next five years. 3 types of marketing have been found to impact social vitality the most: event sponsorships, buzzworthy TV commercials and catchy .. The study reveals that the rise of digital video platforms has driven up overall video consumption, meaning more advertising optio..